The B-Band A1.2N-1470 includes the B-Band Acoustic Soundboard Transducer (AST) pickup along with the A1.2N Endpin Preamp. 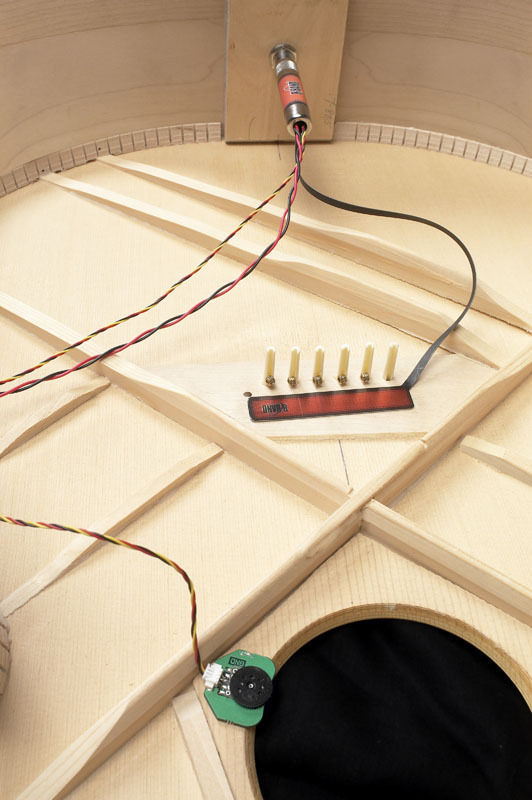 A soundhole mounted volume control is included. Includes all necessary installation parts and hardware. Advanced redevelopment at B-Band brings a totally new AST (Acoustic Soundboard Transducer)*. A vast improvement in controlling the AST transducers own resonance frequency makes for a unprecedented natural acoustic sound, even at high volume levels. Also, this AST is compatible with all B-Band onboard preamps (except 2150 preamp). The newly designed B-Band AST, with a bigger pickup surface (14mm/.55" x 70mm/2.75"), acts to capture all the detailed acoustics of the instrument without sounding boxy. It has all the advantages of a microphone, without the negatives of feedback and positioning. The AST is an ultra-thin flexible and rugged constant structure all the way to the preamp. Connection to the preamp is an easy "plug in" without soldering. Positioning of the AST is not critical making installation fast. 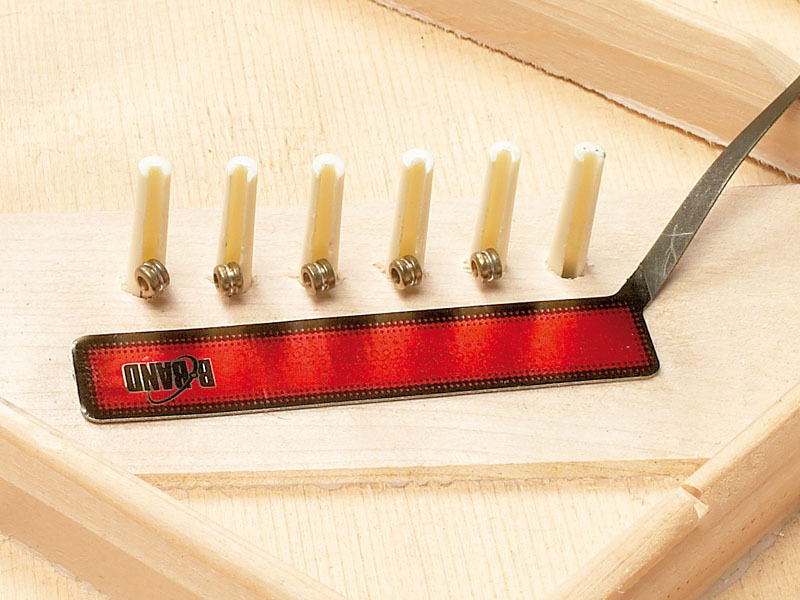 The AST attaches to the guitar's bridge plate with a special two sided tape. String balance is always even. The A1.2N is the little brother of the classic B-Band A2 preamp and is big on classic B-Band sound. The single input A1.2N has a direct frequency response with 24 dB of gain making a perfect fit with the B-Band AST pickup (included). The sound reproduction is amazingly pure and clear. The A1.2N preamp comes with a volume control that simply mounts at the inside edge of the sound hole with adhesive. The 9-volt battery powered electronics are mounted in a small tube that is directly coupled with a high quality endpin jack making an all-in-one structure. The B-Band A1.2N-1470 bundle includes a special version of the A1.2N preamp that has a slight frequency notch of 6 decibels in the low-mids giving the system a smooth acoustic sound at louder volume levels and is packaged along with, and for use only, with the 1470 AST. This gives the user great tone at a great value. The A1.2N-1470 can be used in any steel or nylon string acoustic guitar or similar instrument that has good access to its interior. The structure is light in mass adding very little weight to the instrument. 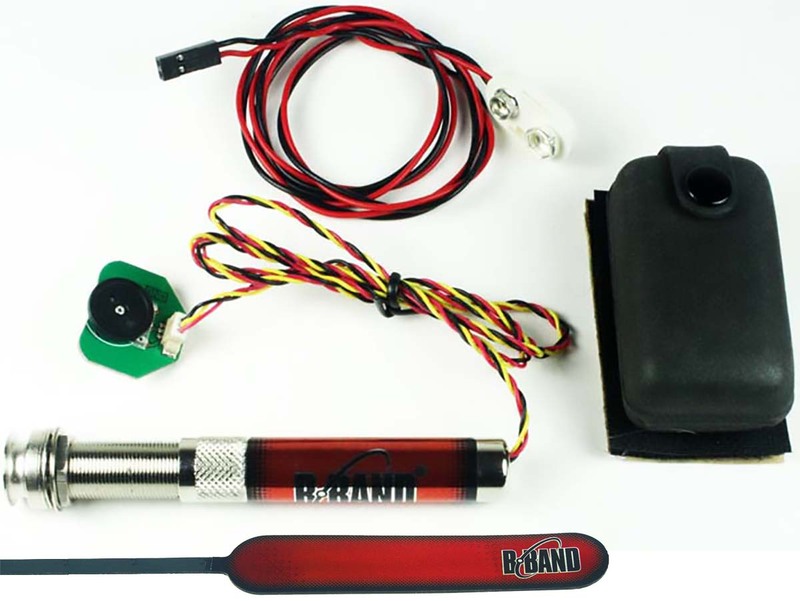 Kit includes all mounting hardware, battery holder and wire harness. 9-volt battery not included.